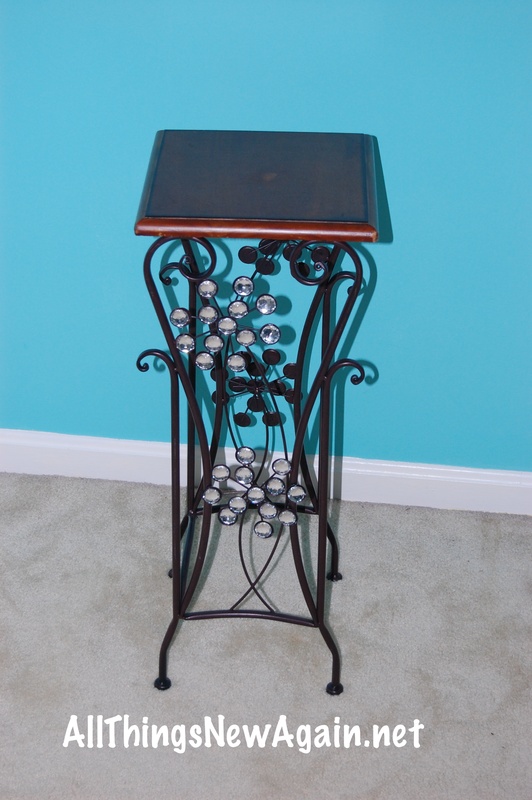 I love rescuing beat-up, banged-up, tossed aside old furniture. 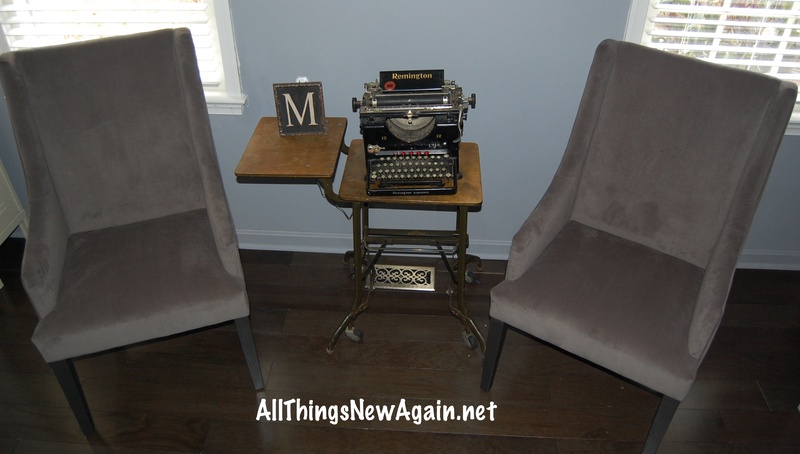 I happily head out to flea markets, yard sales and auctions with an eye for finding the saddest little table or chairs that nobody else wants, bringing them home and making them beautiful again. But when it comes to painting brand-new furniture that I purchased in a big-box store? It’s too new! It cost too much! It’s too nice to paint! I used to say those things too—but not anymore. Today I would like to share with you two “mini-makeover” paint projects I recently completed on brand-new items purchased for my home. 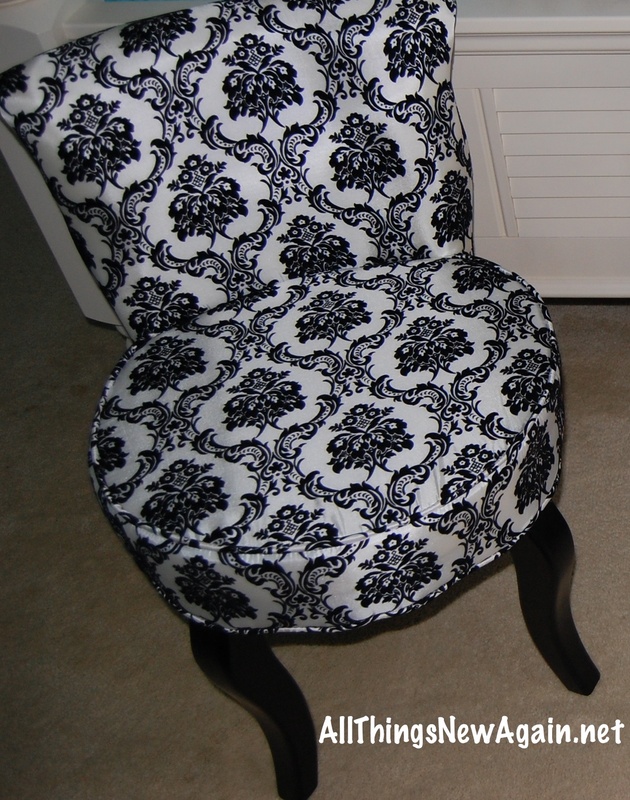 I fell in love with this black and white damask chair the moment I saw it (at a discount clothing store of all places!) And they had two! 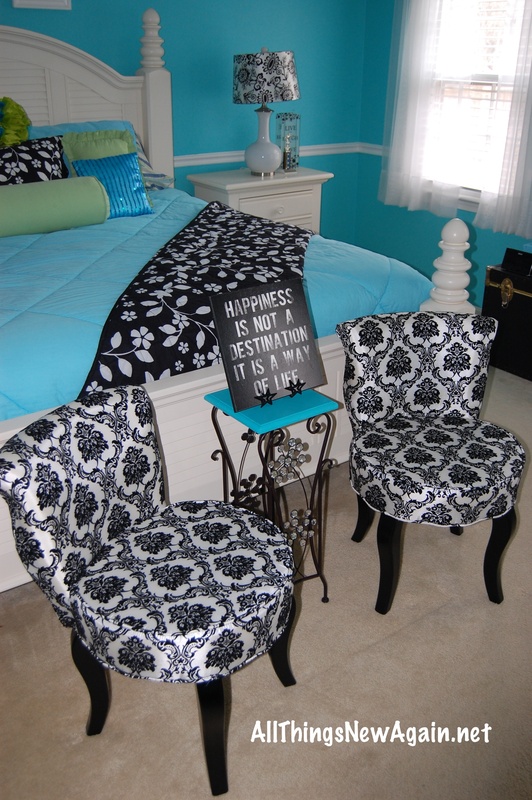 I thought about the chairs all day until I realized our bedroom has splashes of black and white. I still didn’t have an exact spot in mind for the chairs, but I knew they would work—somewhere—so I came back for them later that night. And I brought my husband G to help load them into our car. Now all we needed was a little table to go with the chairs. “Let’s just look for a table here,” G suggested and disappeared behind another aisle. He came back around the corner, paused and shook his head. Then he held up this little table. It had bling—and I loved it! The only problem was the tabletop. It was a fake-wood color that did not match our white bedroom furniture. I painted the tabletop turquoise and now it matches our bedroom walls and bedspread perfectly. That mini-makeover made all the difference! I absolutely love how these chairs and the blinged-out turquoise table look in our bedroom—and now we have a nice spot to enjoy a cup of coffee in the morning. 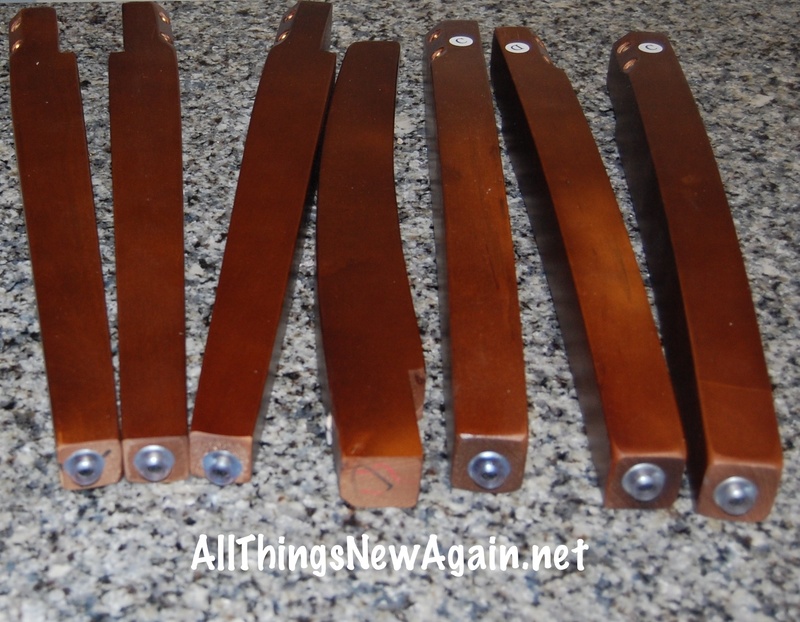 My second mini-makeover was for our long-awaited office chairs! We have been searching for more than a year for the perfect comfy chairs for our office renovation project. We finally found them! It was worth the wait because they are perfect … except for more fake-wood color on the legs that did not match our new dark walnut floor in the office. No problem! Before assembling the chairs, I quickly painted the legs black and sealed them to protect against getting chipped when our 2-year-old crashes his fire truck into them. And now I’m a believer in painting brand-new items along with my flea market finds. 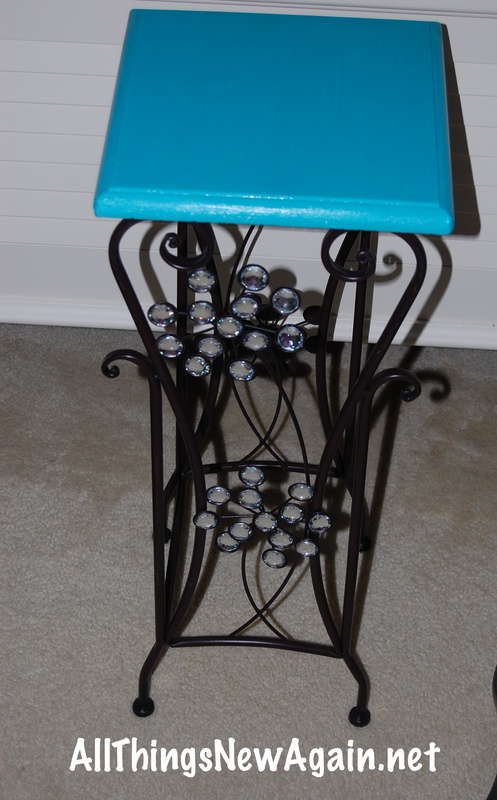 It takes just a little bit of time and effort, but adding a fresh color of paint personalizes items purchased at big-box stores and makes them unique to your home. Crackle Is A Snap–And Makes This Antique Dresser And Mirror Pop!